Mrs. Universe Ashley Callingbull will receive the Canada’s “Role Model Award” from the United Nations for Global Dignity Day in Ottawa, Ontario today. She also is celebrating her birthday. 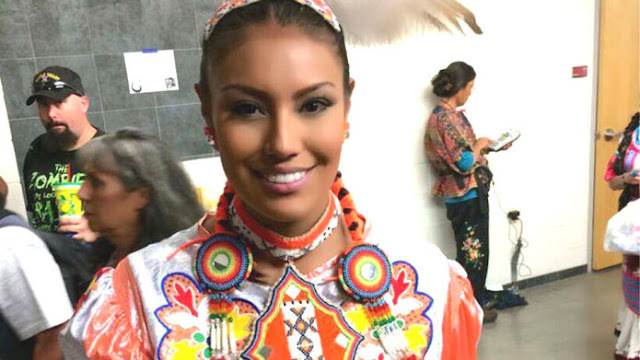 Callingbull is a 25-year-old Cree First Nations woman from the Enoch Cree Nation in the province of Alberta. She is very devoted to her culture and people, and takes pride in her Native Cree heritage, and has shown this through her volunteer work with community elders and aboriginal youth. By the time Ashley reached 10 years old; she had consecutively won all Enoch’s princess crowns. She is a professionally trained dancer in tap, ballet, jazz, pointe and performed in the Nutcracker. Ashley was chosen as Miss Canada for the Miss Friendship International Pageant held in Hubei, China in September 2010 and represented Canada at the Queen of the World Final held in Germany 2010. 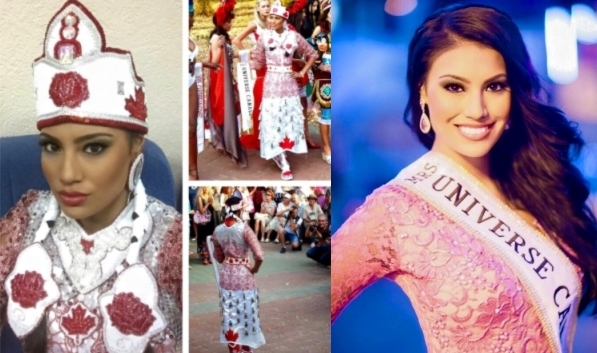 She also represented Canada at Miss Humanity International in Barbados in October 2011. Ashley was also Top 10 at the Miss World Canada competition in 2012. Ashley is also an international motivational speaker and role model for many educational institutions, workshops, conferences and award ceremonies. Ashley has spoken at Harvard University, Boston as the keynote speaker for an All Ivy Native Council, TED Talks and WE Day. She also received the Top 20 Under 30 Award in Canada. Ashley is a Canadian activist for First Nations Rights and environmental causes in Canada. Ashley is also a spokesperson and model for the Nike N7 organization. 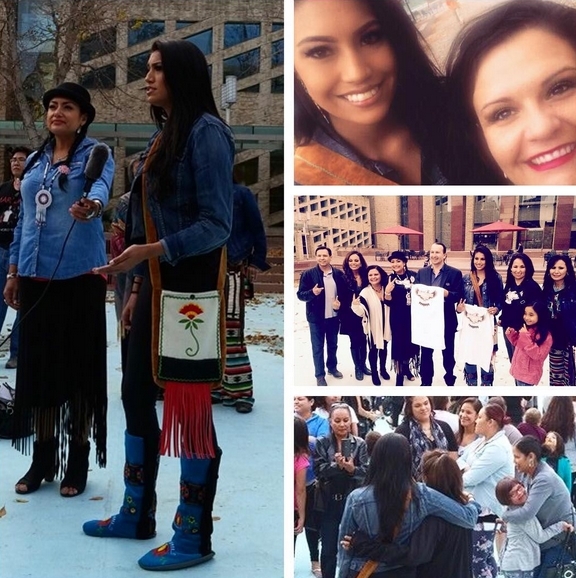 Responses to "Mrs. Universe Ashley Callingbull Receives Canada’s National Role Model Award"